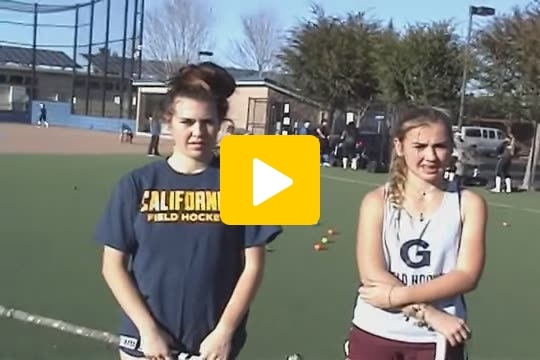 Technical:Developing specific techniques to score first time field goals from these soft passes, via a mini hit or push on the run. 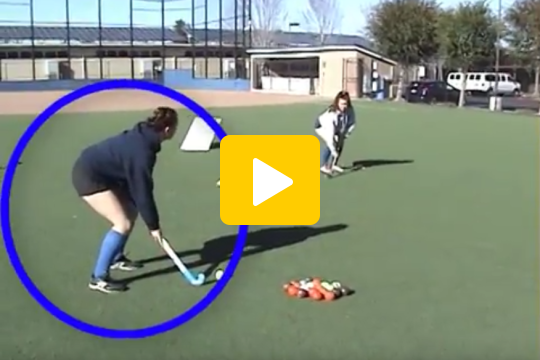 Training Method Tips:How to develop a young hockey player in becoming a prolific goal scorer, in this specific game situation. In case if you have not read the previous six CNL’s, please visit www.coachshiv.com and click on the tab on the top right side “coaching newsletter”. And you will find the link to all the previous issues. In CNL #6 we covered the topic “Strategic moves and plays executed from the PMS, a Mini pocket of the ROQ, to generate defense splitting passes. In this issue, we are going to focus upon how to connect these passes coming from the PMS and SPMS into field goals. Pictures above depicts a game situation of a goal scored from a pass which came from the SPMS, during the 2014 Hague world cup semifinal match between Australia and Argentina. Center forward has to be a risk taking intelligent player, with excellent ball control skills in tight game situations, while being able to execute Penetrating dodges, Dexterity; the ability to change direction and speed on a dime. 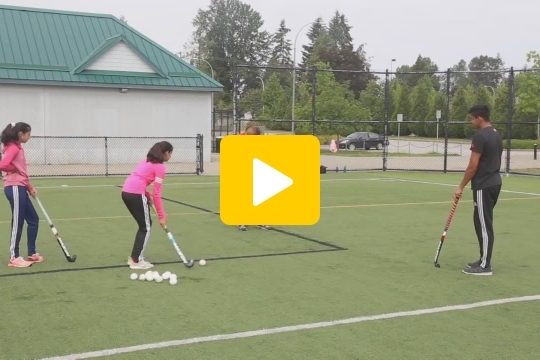 While taking a shot on goal, winding up with a long back swing is not a good idea. Even accidentally hurting a player. 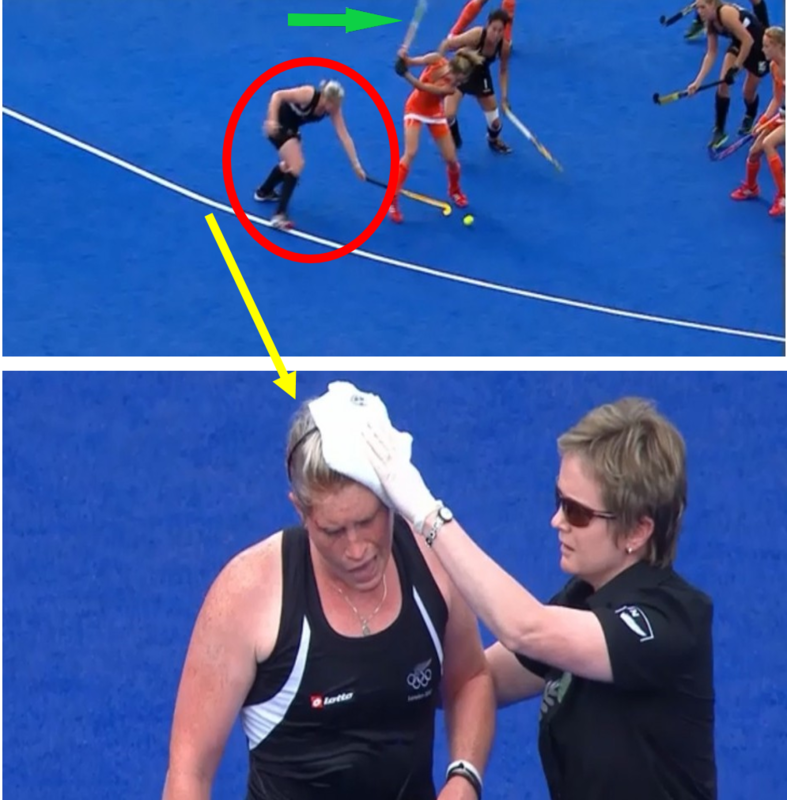 New Zealand player did get hurt from the long swing of the Dutch forward during the 2012 London Olympic Games. Refer to the pictures below. Spinning from one’s strong side to weak side, to execute a tomahawk every time is not a wise move. There is a time and place for this skill, as some beautiful goals have been scored. Our current generation of players are overdoing it. Types of skills need to be developed. Please refer to the “Lead, running off the ball” article. It was written before the FIH introduced the four quarters instead of two halves of a match. But, the concepts are still applicable. Quote: “"There is nothing Stronger than gentleness"
Think about this; When you make a pass, which is power packed and at full speed to your teammate, they have to first stop the ball and then make the next move. This takes time. 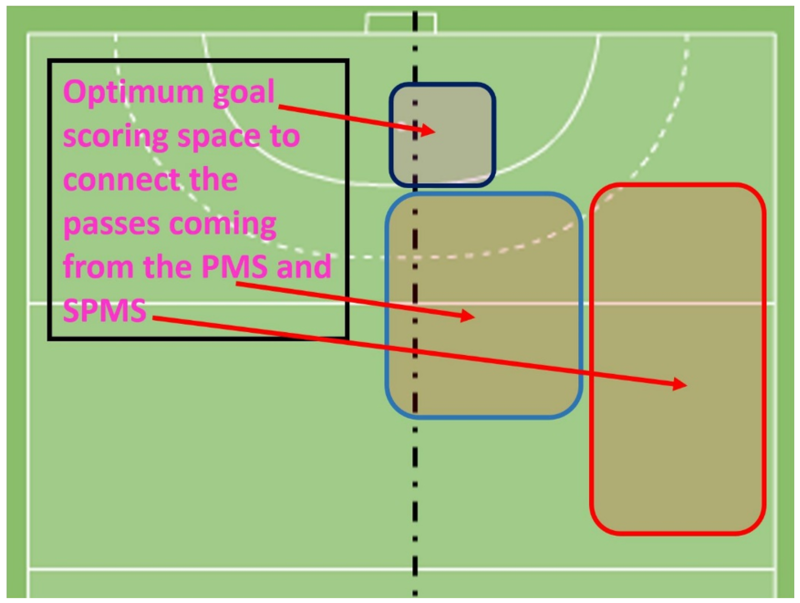 Whereas, when you pace the ball depending upon the given game situation, it will give your teammate slightly more time and space, while adding flexibility. Here is an interesting story; Several years ago, I was casually talking with Terry Walsh in Moorpark, CA, USA. Terry played as a center-forward for Australia in the 80s till the 1986 London world cup, during this era, Ric Charlesworth played as a Right Inner - till the 1984 LA Olympic Games. And then shifted to the Left Inner position, during the 1986 London World Cup. Both – Ric and Terry - need no introduction, as they are world famous coaches. Yes, Ric, with an unmatched winning coaching record and Terry who has coached in different parts of the world and now is coaching in Malaysia. During our discussion, I asked Terry a question, regarding his views about Manzoor Jr and Ric Charlesworth, both played as Right Inner during that era. Terry, recalled a time when he had an opportunity to play as a center-forward with Manzoor Jr. in a charity match in the mid-1980s, His fond memories of that match were the timely and soft passes he received from Manzoor Jr., with pinpoint accuracy and pace, and had no difficulty receiving them on the run and make the next move. BTW, Manzoor Jr., basically single handedly helped Pakistan win the 1984 LA Olympic Games Gold Medal, which was also their last. Quote: “Gretsky could create time and space with a head – and – shoulder fake that would have opponents well out of the picture and leave him with superb scoring opportunities”. – Steve Silverman describing the superb soft – gentle – skills of the great one from ice hockey.